A highly-respected patient-focused organization, AAMDSIF's mission is to serve its community in every cycle of these diseases. That includes providing the vital information and resources needed to adjust to the initial life-altering phase of diagnosis and get through the potentially life-threatening treatment phase that follows. We then help patients and families manage the life-long stage of having a chronic disease. The Foundation also does substantive work with health professionals, including being administrator of the MDS Clinical Research Consortium - a unique collaboration of six major academic medical centers designed to maximize the results of MDS clinical trials, to the benefit of patients everywhere. AAMDSIF also organizes a two-day biennial event - The International Scientific Symposium for Bone Marrow Failure Disease. Sponsored by the National Institutes of Health, the meetings bring together clinical researchers and medical doctors who share and compare their knowledge of bone marrow failure. This scientific exchange helps to advance new theories and encourages collaboration in the search for the cures. AAMDSIF was founded in 1983 by families who had nowhere to turn when their loved ones were afflicted with bone marrow failure disease. Its patient education, advocacy and research programs are supported through individual contributions from grateful patients, families and friends, as well as foundations and corporations. 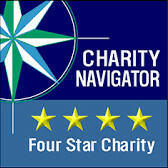 For 14 consecutive years, AAMDSIF has earned the coveted 4-star rating from leading independent charity evaluator, Charity Navigator. Email help@aamds.org or call (800) 747-2820. Read the latest information on drugs, treatment and research. Watch and/or participate in webinars, live-streamed classes, interviews with experts and interactive courses. Attend our Free regional conferences. Hear from leading experts and learn from other patients. Follow the latest news on research and medical advances and read inspirational patient stories. Learn about clinical trials. If you want to find one, we can help. Develop the skills to become a proactive patient so you can effectively advocate for your health care. Talk to our specially-trained volunteers, who are patient and family members and exceptionally good listeners. They share their own experiences and offer emotional support. Connect with a local volunteer-led group that works with AAMDSIF. It will provide information, peer support and an opportunity to get involved in awareness and fundraising activities. Originally published on Fri, 01/21/2011 - 3:12pm. Last updated on Mon, 04/22/2019 - 4:39pm.